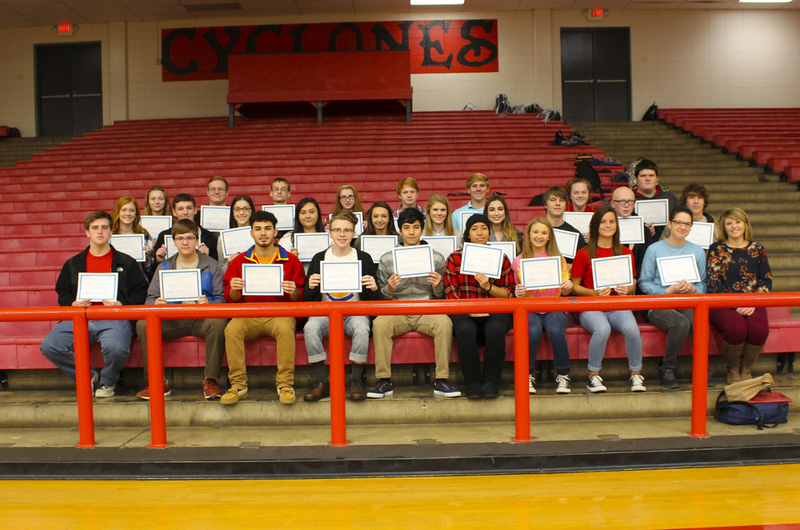 Russellville High School students recently completed a Financial Literacy course at RHS and took the Wise Financial Literacy Certification Exam. This nationally recognized exam tests their knowledge of money management, budgeting, financial planning, banks and banking, credit management, insurance, and investing concepts. At the end of this semester, 43 RHS students passed the certification exam. "This is a huge accomplishment for these students," said Financial Literacy Instructor, Candace Freeman. "I am so proud of their hard work and dedication to really understanding the importance of the financial concepts that are taught in this course. If I had high school to do over again, I would definitely enroll in this course because it teaches the real-world aspects of becoming an adult and how to manage your finances correctly."